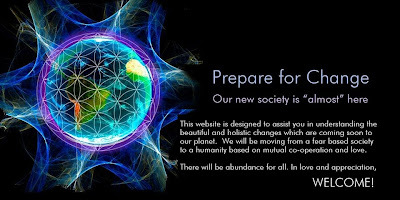 Transformational Tubes of Light connect doorways, portals, gateways, along and within continents of surface Gaia, as well as throughout Inner Gaia. Those with eyes for viewing these are already aware of the intense transformational energies involved. Transformational Tubes of Light are required for the proper direction of these High Cosmic Frequencies. Tubes will appear and dissolve as required for Golden Age type upgrades of humanity, to Hue-manity. Rainbow Bodies become more visible, even to those with relatively non-developed Higher Vision, and encourages investigation and development of the Higher Senses in the “humanity general”. The resulting Gaia Body becomes en-Hued with Rainbow Patterning and Rainbow Energetics as Higher Senses are developed and Higher Passions are embraced. This entry was posted in 5th Dimension, Ascension Rock, Body, Consciousness, Cosmic Consciousness, Cosmic Energies, Divine Plan, doorways, Earth, en-Hued, Energetics, Gaia, Gaia Body, Gaia Healing, Gaia Portal, GaiaPortal, gateways, Golden Age, Great Awakening, Healing, Healing and Love, Healing Energy, Healing power, High Cosmic Frequenties, Higher D Light, Higher Dimensions, Higher Passions, Higher Senses, Hollow Earth, Hue-man, Hue-manity, humanity, Inner Earth, Inner Gaia, Light, Light and Love, Light transmisson, Mass Awakening, Mother Gaia, New Earth, New Reality, Nova Earth, One, Oneness, Passions, Patterning, Planet Earth, Portal, portals, Rainbow, Rainbow Body, Reality, Transformational, Transformational Energies, Transformational Tubes, Tubes of Light and tagged 5th Dimension, Agartha, Ascension, consciousness, Disclosure, Divine Energies, Earth, Gaia, GaiaPortal, God, Golden Age, great ideas, healing, hidden secrets, Higher Energies, Hollow Earth, Humanity, Inner Earth, inner guidance, Light, Lightworkers, Love, multi-dimensional, New Earth, new ways, Spiritual guides, Spiritual realms, teachings.